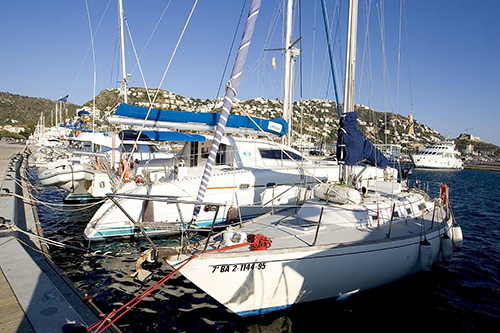 With 4 ImmoNautic Yachting offices in Spain we are perfectly placed to help you find the perfect boat or yacht of your dreams… and a mooring or a property with a private dock to go with it ! Do not hesitate to contact us to find out more about our services and see how we can help you to realize all your nautical wishes. Please contact us mentioning the boat type you are looking for, your mooring location or property requirements and budget and we will fulfill all your yachting dreams ! 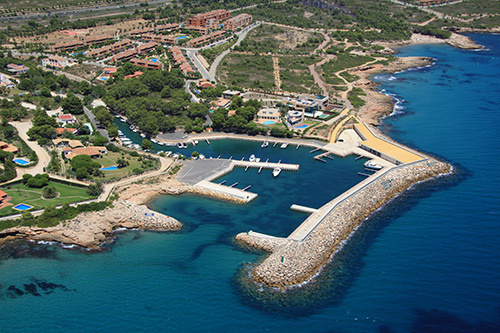 The head office of ImmoNautic Yachting (Immo Center Group) is located at the Nautic Center building in the residential marina of Roses – Santa Margarita on the Costa Brava in Spain. 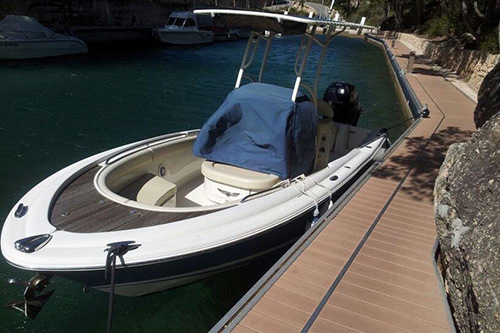 Here we have all the skilled personnel and technical installations available to haul your boat out of the water (70 and 100 Ton travel lift) and to do extensive maintenance works, painting, antifouling or repairs on your sailing boat or motor yacht. 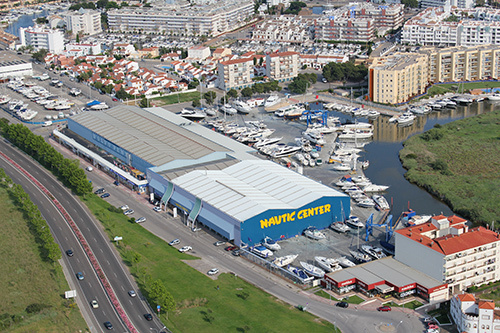 Indoor and outdoor winter dry storage is available at our Nautic Center premises. 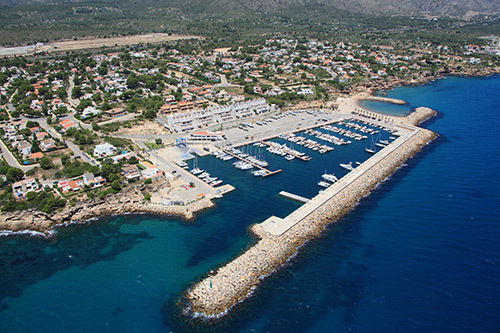 Keeping the boat in the water for a long period is not possible at Nautic Center but we have moorings available for sale or rent in the nearby yacht harbour of Rosas. 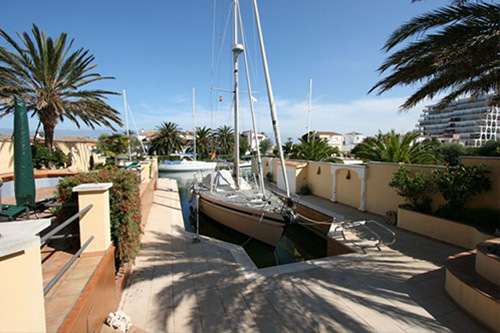 The residential marina of Rosas – Santa Margarita is very exclusive and unique in Europe. 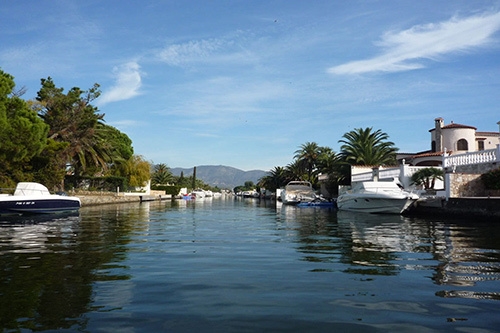 Unlike Empuriabrava, where in most areas bridges limit the access for sailing yachts and boats with an air draft or height above the waterline of more then 2,80 meters, there are no bridges in the marina of Roses – Santa Margarita and the private moorings at the apartments, villas and houses can accommodate large sailing and motor yachts up to 35 meters depending on the length of the quay of the property and taking into account the different depths in the channels and harbour entrance. 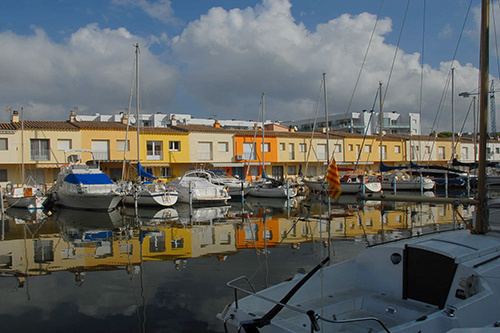 Our ImmoNautic office (Immo Center Group) is located at the Hotel Univers building directly in front of the yacht harbour of Rosas ( Roses in Catalan ). 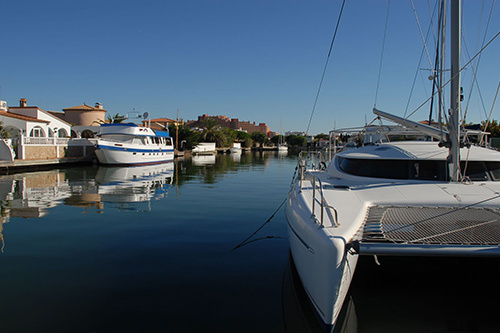 We have in the marina of Rosas multiple moorings available for sale or rent for boats up to 45 meters with a maximum draft of 6 meters. 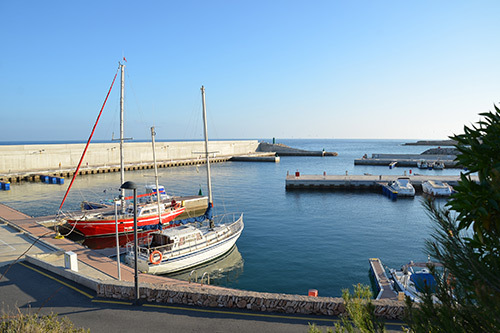 Moorings for large mega yachts with draft up to 9 meters are also available alongside the 300 meter pier opposite of the fishing harbour. There are extensive maintenance and haul out possibilities for yachts up to 300 Ton. 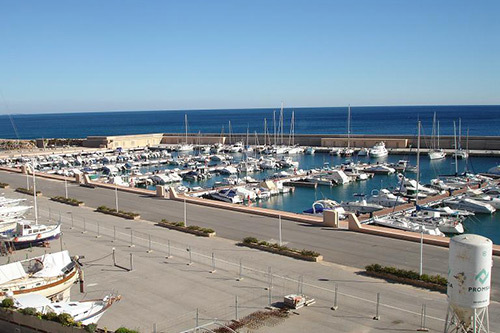 Winter dry storage is only limited available in the yacht harbour of Roses. 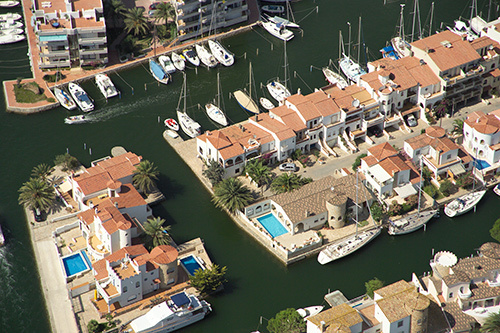 Our office is centrally located in the Marina of Ampuriabrava ( Empuriabrava in Catalan ), the biggest residential marina of Europe with over 5.000 private moorings and waterfront properties. 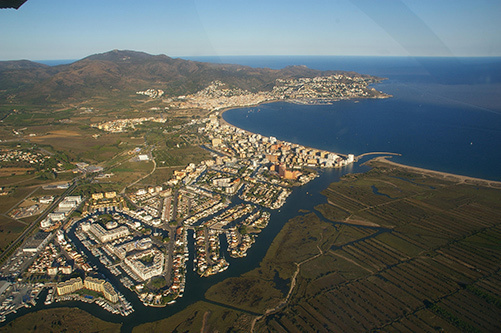 Empuriabrava has besides the public marina with access for yachts up to 26 meter and with a maximum draft of 3,3 meter over 25 km of navigable channels with more than 5.000 waterfront properties alongside these channels. 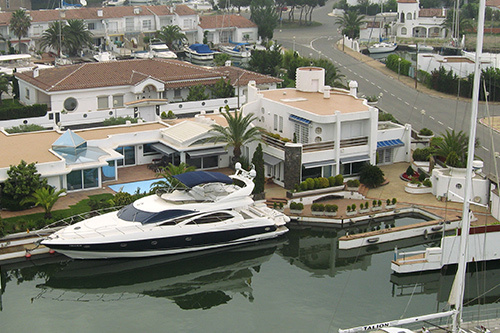 All the houses, villas and apartments bordering the channels have private moorings to dock a boat directly at the property. Bridges are limiting the entrance to the channels for sailboats and boats with an air draft higher than 2,80 meter. 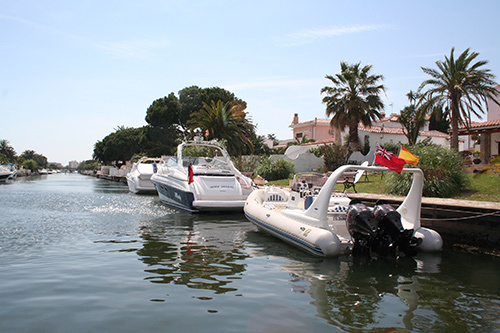 Only the first and oldest part of the Marina of Ampuriabrava has no bridges and here the properties with private moorings have no height limit for your boat. 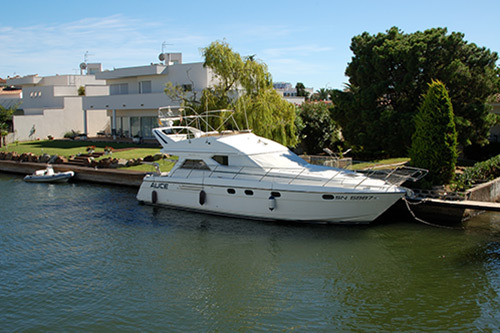 There are maintenance and haul out services available in the marina for boats up to 50 Ton. 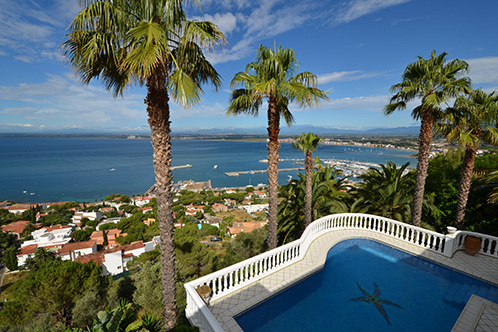 Rosas, Santa-Margarita and Empuriabrava are very easily reachable by plane, train or car. 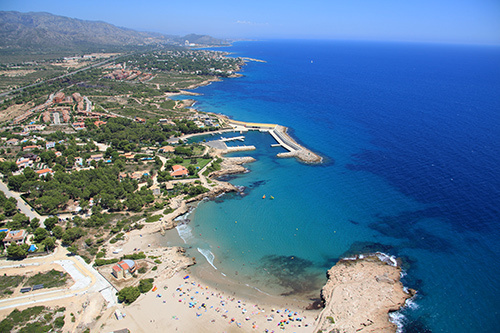 The airports of Girona Costa Brava and Perpignan in France are only a 45 minute’s drive away and it takes 1 hour and 45 minutes by car to reach the international Barcelona El Prat airport. 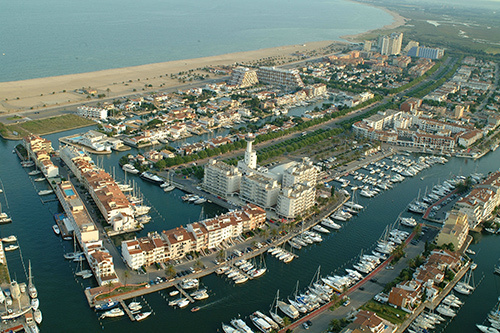 Empuriabrava has his own airport accessible for light aircraft and small business jets. The AVE / TGV high speed train station of Figueras is only a short 15 minute’s drive and has frequent high speed train connections to the rest of Europe. It´s only a few minutes to reach the entrance of the AP2 / E15 highway which gives direct access by car to the main European highways. 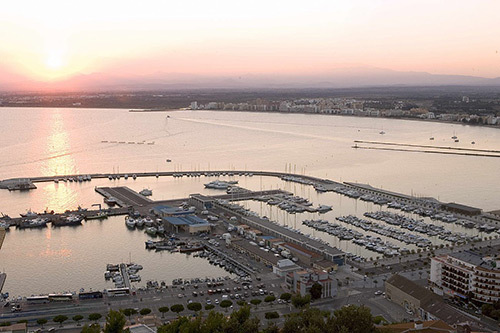 Our office is located in the beautiful, tranquil and private Marina of Port Calafat on the Costa Dorada close to Tarragona. 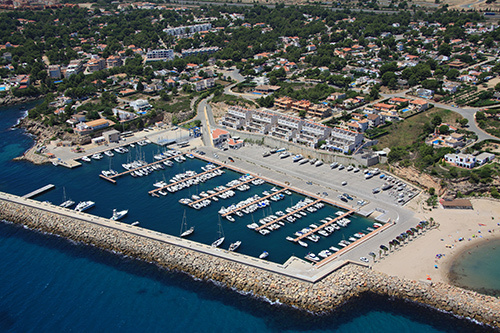 Port Calafat marina has its own superb residential project which is for sale or rent at our ImmoNautic real estate offices. 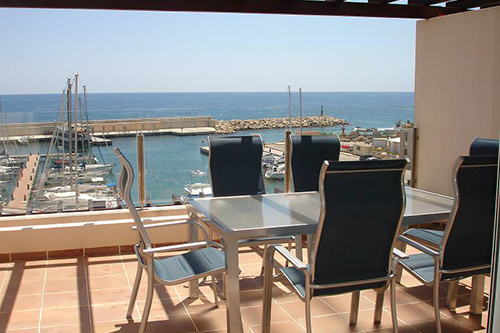 Very beautiful sea facing houses have been build alongside the marina with splendid sea views directly over the harbour only a few steps away from your mooring and boat. The marina has also its own large and completely private sandy beach. 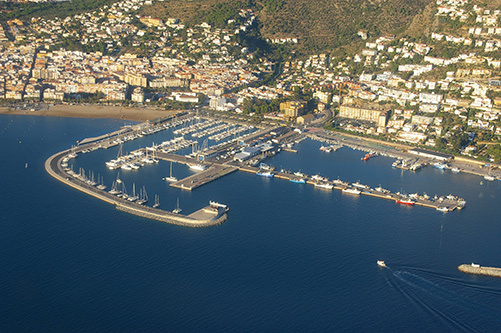 Port Calafat has 324 moorings available and can accept yachts up to 30 meters with maximum draft of 5,5 m. There are maintenance and repair services available and haul out possibilities up to 40 Ton. 7.000 m2 of dry dock space is also available for winter storage and we have plenty of moorings for sale or rent to leave your boat under our supervision all year round. 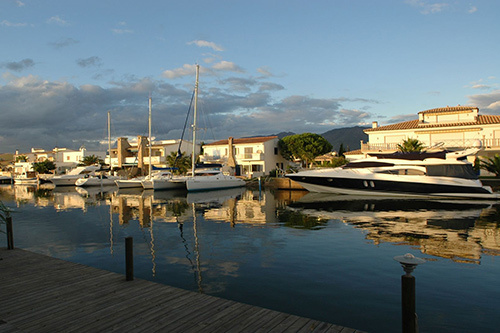 ImmoNautic has in the nearby secluded, calm and private marina of Port San Jordi many well protected moorings for sale or rent where you can leave boats up to 20 meters length and with a maximum draft of 3 meters with total peace of mind under our professional supervision all year round.